The SEA LIFE Kelly Tarlton's Annual Pass lets you visit as many times as you like, at any time of the year! Get to know our animals at all times of the year - from baby penguin season to crayfish moulting to school holiday fun - there's always something different to discover. Exclusive invitations to member events and previews and access to all holiday promotions during the life of your pass. Bring a friend to Kelly Tarlton's with a 25% discount on admission for friends and family (1 person per ID Card). Receive 20% discount on admission at Auckland Zoo upon presentation of your ID card. Recieve 20% discount on admission at Butterfly Creek upon presentation of your ID card. Receive 10% discount on selected purchases at the Kelly Tarlton's gift shop and Stingray Bay Cafe. Receive 20% discount on Kelly Tarlton's Animal Adventure experiences. Receive 10% discount on birthday parties. $2 regular sized hot drink from our Cafe. 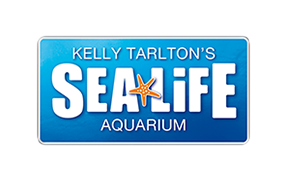 Please visit here to purchase your SEA LIFE Kelly Tarlton's Annual Pass. Please Note: SEA LIFE Kelly Tarlton's Annual Passes cannot be transferred between different people. Any annual pass purchased via the Kelly Tarlton's website MUST be claimed at Kelly Tarlton's within 30 days.